Adds the ability to connect an unlimited amount of AWeber accounts to Optin Hound. Adds the ability to link an opt-in form to a AWeber list, in order to send new subscribers directly to your AWeber list. 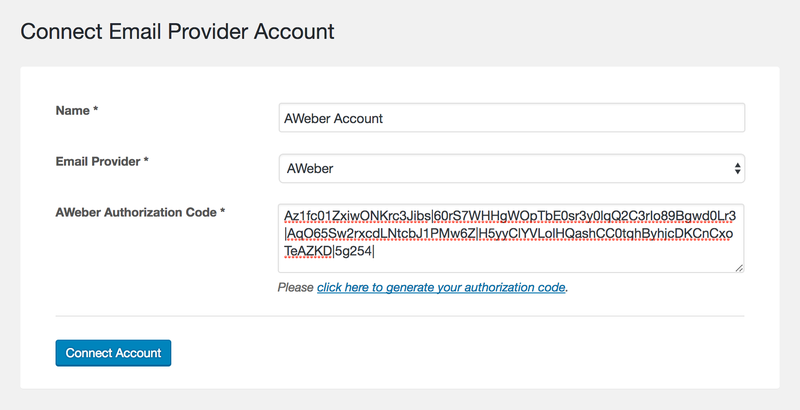 Connecting a AWeber account needs an authorisation code which you can easily get by logging into your AWeber account. Linking a AWeber list to an opt-in in the opt-in’s edit screen. AWeber Extension is available in Optin Hound Basic & Pro.